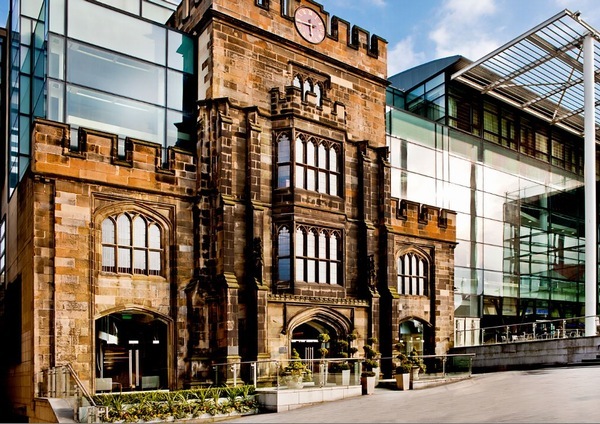 Christmas Celebrations Enjoy a celebratory Christmas party or event at The Glasshouse Hotel, located in the heart of Edinburgh city centre. Our exclusive Calton Suite, boasting stunning views over the historic Calton Hill, and direct access to the hotel's two-acre roof garden, will provide a unique backdrop to any Christmas party or event. If an indulgent dinner is more to your liking, our exclusive Brasserie can also be hired out for private dinners throughout December. Private Christmas Events - Friday 30th November: Party Price £60 / Dinner Price £50 - Sunday 2nd December: Party Price £45 / Dinner Price £35 - Monday 3rd December: Party Price £55 / Dinner Price £45 - Tuesday 4th December: Party Price £55 / Dinner Price £45 - Wednesday 5th December: Party Price £55 / Dinner Price £45 - Thursday 6th December: Party Price £60 / Dinner Price £50 - Saturday 8th December: Party Price £60 / Dinner Price £50 - Sunday 9th December: Party Price £45 / Dinner Price £35 - Monday 10th December: Party Price £55 / Dinner Price £45 - Tuesday 11th December: Party Price £55 / Dinner Price £45 - Wednesday 12th December: Party Price £55 / Dinner Price £45 - Friday 14th December: Party Price £60 / Dinner Price £50 - Saturday 15th December: Party Price £60 / Dinner Price £50 - Monday 17th December: Party Price £55 / Dinner Price £45 - Tuesday 18th December: Party Price £55 / Dinner Price £45 - Wednesday 19th December: Party Price £55 / Dinner Price £45 - Thursday 20th December: Party Price £60 / Dinner Price £50 - Friday 21st December: Party Price £60 / Dinner Price £50 - Saturday 22nd December: Party Price £60 / Dinner Price £50 - Sunday 23rd December: Party Price £45 / Dinner Price £35 Shared Christmas Party Nights - Saturday 1st December: Party Price £60 - Friday 7th December: Party Price £60 - Thursday 13th December: Party Price £60 - Sunday 16th December: Party Price £45 All of our packages are priced per person, and are VAT inclusive. Packages include a three-course festive menu, arrival drink served in your event room, half a bottle of wine per person with dinner, and festive decorations. Party packages also include a live DJ and dancefloor. You may also upgrade your package, to include an LED Dancefloor or Photobooth, for an additional £500 per item. Our Shared Christmas Parties are only available on the 4 dates listed above. A dinner-only option is not possible with a Shared Party. All bookings are subject to a £10 deposit, per person, at the time of booking. Full pre-payment required 28 days prior to the event date. To book, please send an enquiry.